N.W. Washington D.C. 20004, U.S.A. Farmers of Forty Centuries, a book written by F.H. King, a soil scientist at the U.S. Department of Agriculture. He wrote in great detail about farming practices that had been followed for 4,000 years in Japan, China and Korea. I still feel we have much to learn from farmers in Asia. I have found it difficult to believe that the heavy use of agricultural chemicals in some countries in this region is consistent with the Earth friendly farming practices followed here for so many centuries. I also have been influenced by Mokichi Okada, founder in Japan of the Mokichi Okada Association, who taught that the universe consists of a visible material world and an invisible spiritual world. Western civilization, he suggested, has progressed primarily in the visible, physical world and is only half complete. He believed that a true civilization can emerge if Oriental spirituality and western materialism are harmonized and become the underlying principle for life in the 21st century. The need to combine sound farming practices with respect for the land is also taught by native Americans. They have never been able to understand our unwillingness to acknowledge that the Earth is our Mother, that we are its caretakers, and that we can never be its owners. Several native American leaders are now active in the “spirituality in agriculture movement”, which is growing in America. I come from Iowa, where we have lost half of our topsoil in less than 150 years of farming. These losses took place on some of the world’s finest farmland. People were shocked when these losses were first documented and published. However, they have now come to their senses, and support model state programs aimed at conserving the soil that is left. On my way here from Washington, I stopped in Mexico City to participate in the World Conference of the Society for International Development and to make a presentation at a global seminar on low-impact agriculture. This organization of development professionals is pushing an agenda that puts a special emphasis on people-centered development and on protection of the environment. Issues receiving the most attention included 1) sustainable energy production; 2) programs to promote effective pollution control to protect air and water and guard public health; 3) agricultural production techniques that balance the need for greatly increased production with the imperative of protecting the land, and 4) the need to strengthen the capacity of people and institutions to implement sustainable development programs. There was much emphasis on giving development in general, and agricultural development in particular, a human face. This new emphasis on the environment, and on the kind of agriculture that depletes neither the land nor its people, is a direct response to the United Nations Conference on Environment and Development, the Earth Summit held in Rio two years ago. I had the privilege of participating in this conference, and in the preparatory meeting in New York, as the accredited representative of the World Sustainable Agriculture Association. I chose the title of my talk this morning, “Two Years after Rio: Progress in Making a Global Transition to Sustainable Agriculture,” because I wanted to share with you what I see as the beginning of a genuine change in attitude toward agriculture and its impact on the environment. In some important areas of the world, such as Central and Eastern Europe and the former Soviet Union, the lack of inputs such as fertilizer and pesticides are forcing important changes in agriculture. I was in Budapest recently to assist the Regional Environmental Center in putting together a sustainable agriculture initiative for ten countries. An assessment of need in the region showed that the breakup of huge state farms and the privatization of land provide an unusual opportunity for the adoption of environmentally sound farming practices. In many other regions, the changes underway are a direct response to the realization that modern agriculture, which has been enormously successful in extracting abundant harvests from nature, is harming the environment, impairing public health, and destroying the economic and social well-being of rural communities. Sustainable farming practices that are scientifically sound and socially acceptable are available to correct these deficiencies. Our challenge is to adapt them to specific country situations and to get them adopted. More than 170 countries made a commitment at the Earth Summit to help make this happen. My work as Director of public policy of the World Sustainable Agriculture Association (WSAA) includes monitoring the activities of United Nations development and lending agencies and working with other organizations to influence what they do that impacts agriculture. Many critics suggest that the progress on sustainable agriculture in the two years since the Earth Summit is more rhetorical than real. But we know that there are people inside FAO, the United Nations Development Program, the World Bank, and other agencies that are pushing hard to get these huge public institutions to change direction. Since this year is the 50th anniversary of the UN, a special effort is being made to influence them. The World Bank, for example, has been targeted in a “Fifty years is enough” campaign. It is aimed at stopping agricultural lending that supports expansion of export cropping and chemical and capital intensive methods in developing countries. Critics point to the Bank’s own evaluation unit, which has been highly critical of the quality of its agricultural loans and the serious social and environmental impacts many of them have had. The Consultative Group on International Agricultural Research, which sponsors 18 international research centers, is in financial trouble because of cutbacks in support from national governments. These cuts are supported by critics who contend the CGIAR system has been unresponsive to calls for a shift to research that is more supportive of sustainable agriculture. The UN agencies also are being pushed to cooperate more with each other in the agricultural area and there are signs that this may be beginning. It is reported that FAO, the World Bank, and UNDP will agree next month to put up $80 million for a new sustainable agriculture initiative. It would favor an international effort to promote the successful IPM technologies used by farmers in Indonesia. I believe it’s too early to tell whether these and other international development and lending agencies will fully meet their commitments to a global transition to sustainable agriculture. Overall, from everything we can find out, I believe the agencies are beginning to move, slowly but surely, in this new direction. I also want to mention my involvement in the International Sustainable Agriculture Working Group that participated in the Earth Summit. This working group involved more than 300 representatives of organic and sustainable agriculture organi­zations from more than fifty countries all over the world. The participants reached consensus on a new direction for agriculture that is more farmer oriented, and pledged to work together to mobilize support for its adoption. The new direction called for is a transition to food production systems that are economically viable, ecologically sound, culturally appropriate, socially just, and based on a holistic approach to science. The document issued by the working group states that the kind of agriculture they advocate preserves biodiversity, maintains soil fertility and water purity, preserves and improves the biological and physical properties of the soil, recycles agricultural wastes, and conserves energy. It increases local independence and self sufficiency. It helps ensure a stable income for producers by using locally available renewable resources, appropriate and affordable technologies, and a minimum of external and purchased inputs. It also makes it possible for more people to stay on the land, strengthens local communities, and integrates people and the environment. It respects the ecological principles of biodiversity and interdependence, and it uses modern science to enhance, rather than displace, the traditional wisdom built up over centuries by farmers around the world. The transfer of information relating to this kind of agriculture also requires a special kind of extension effort. Approaches that respect farmer knowledge, encourage farmer involvement and participation, and use farmer-to-farmer information sharing are mandatory. Using outside experts for a “top down” transfer of this kind of information is a recipe for failure. People often ask, “Does sustainable agriculture mean organic farming?” Not necessarily, but it generally follows organic principles. This approach is known in various regions of the world by terms such as “ecological”, “biological”, or “regenerative” farming. Most governments and development agencies, as well as many scientists at traditional institutions, remain skeptical of low-impact systems. They question whether they are “scientific” and whether they can assure a reliable national food supply over the long term. Little research has been done on the production potential of these systems. However, a growing body of evidence in developed countries shows that well-managed organic farms do produce yields comparable to conventional farms after a short transition period. Several studies comparing the economic returns of organic and conventional farms have concluded that economic returns on organic farms are comparable because, although some crops may yield a little less, these systems also have lower cash operating costs. There is no reason to believe similar studies would not yield similar results in other parts of the world. Preliminary results of a new study sponsored by the Netherlands comparing ecological and conventional farms in South India have just been published in the American Journal of Alternative Agriculture, a peer-reviewed journal. The author of the article reported that preliminary data shows that the ecological farms are as productive and profitable as the conventional farms. They have the added advantage of lower dependence on external inputs and greater diversity in both crops and farming practices. “In reality, organic agriculture is a consistent systems approach based on the perception that tomorrow’s ecology is more important than today’s economy. Its aim is to stop degradation and re-establish national balances. The economy must readjust to the primary production factors, and not the other way around. Without ecology, there is no economy. It is unrealistic to believe that most farmers everywhere are going to adopt organic methods, even though this would protect the environment, or that it is the only appropriate approach. I believe the “farmers first” approach championed by Robert Chambers will be helpful in achieving the right kind of change. Chambers concedes that industrial agriculture has its place, but that it must be modified to meet standards of sustainability. He also acknowledges that there is a place for Green Revolution agriculture in irrigated and high-rainfall high-potential areas in developing countries, provided its adverse impact can be curbed. He emphasizes the potential for small-farm agriculture, and an approach that seems less threatening to traditional agriculture professionals. It includes a philosophy of diversity, decentralization, and choice that emphasizes what farmers want and need. It also welcomes and embraces diversity and gets away from the idea that agriculture needs missionary types trying to transfer technology. 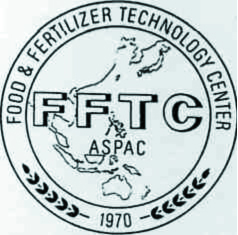 I am aware of the change in direction taken by the Food and Fertilizer Technology Center, its acknowledgment that the concepts of agricultural sustainability developed in Western industrialized countries are generally unsuitable here, and its new focus on sustainable methods and maintenance of long-term soil productivity. These changes are consistent with the new global sustainable agriculture initiative. It is significant that the new direction the Center is taking has the support of scientists in the region. I believe that it will help enormously in convincing both governments and international development and lending agencies that this new direction is sound, and that it is an imperative rather than just an option. Your new course also is consistent with the approach being taken by WSAA. We do not believe sustainable agriculture is a return to the past. We believe it is time to move away from the industrialized approach and toward methods that are in harmony with nature. We believe nature should be viewed as the farmer’s partner, not as something to be exploited or subdued or dominated. We believe it is necessary to use modern science to improve, but not to replace, the traditional wisdom accumulated over centuries by farmers. I believe the transition we all agree is necessary is now under way. A sign that this new movement is gaining respect came recently when Edward Knipling, known as the father of biological and genetic insect control, and his former research partner, were awarded the first world food prize. A few years ago this honor surely would have gone to Norman Borlaug or someone else prominent in the development of Green Revolution technology. All of you at this meeting are among those thinking and acting in new ways. I look forward to learning from you, and to working with you, during this conference and the field trip that follows.